Do you try to go the do-it-yourself route when it comes to buying insurance? Some people do, thinking that they can get a better deal. But whether you are buying life, health, auto, homeowners, or any other type of insurance, you’re generally better off buying through a broker or agent than going it alone. For the record, I’m not in the insurance business, nor do I represent anyone who is. This is just one of those little facts in life that I’ve become aware of though the school hard knocks. It’s well worth passing on to others. 1. They think the cost might be higher. The general assumption is that you will pay more for an insurance policy since the broker or agent works on commission. It’s often believed that the broker or agent’s commission will be added on top of the cost of the policy, resulting in higher annual premiums. 2. They think they might be steered into policies that are in the agent or broker’s best interest, not theirs. There is also the widespread belief that agents and brokers will steer customers into policies that they themselves prefer. The reason for the preference could be the possibility that the broker or agent will want to place your policy with a company that pays the highest commission, rather than the best policy for you. 3. They think they might have to deal with a hard sell. Most of us would probably rather go to the dentist for a cleaning then spend an hour alone with the salesperson. We don’t like the hard-sell treatment when we’re trying to make important financial decisions. It can make us nervous, and cause us to make decisions that we wouldn’t otherwise. And in fact, some people feel just plain intimidated by strong sales pitches. While there could be some truth in each of these concerns, most often our fears are exaggerated. There are solid reasons why you should prefer working with a broker or agent any time you buy insurance of any kind. Surprise! Generally speaking, you’ll pay no more for an insurance policy that you buy through a broker or agent than you will for one that you obtain on your own. Insurance brokers and agents work on much the same basis that travel agents do (or at least did, when there were more travel agents around). Much like airlines, hotels, and car rental companies working with travel agents, insurance companies make their products available to brokers and agents on a discounted basis. The same policy that you might buy for $1,000 per year, can be had through a broker or agent for the same price. As an inducement to attract business from brokers or agents, an insurance company will make their products available to them at a lower price. The insurance company will accept the policy from the broker or agent at the same premium rate you would pay anyway, but they might pay a 15% to 20% premium to the broker out of the proceeds. It works such that you will pay no more by using a broker or agent than you would if you purchase the policy directly from the insurance company yourself. There is a big reason why you should happily accept that the broker or agent is being paid a commission on your policy too . . . . Unless you work in the insurance industry yourself, a broker or agent knows the business much better than you do. 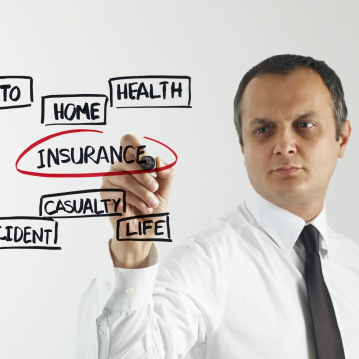 That’s important since insurance policies are far more complicated than most of us understand. This is especially true when it comes to health insurance, auto insurance, and virtually any type of business insurance. You can simply explain to the broker or agent what kind of coverage that you want, and it will be their job to find the type of policy you want at a price you can afford. They may even tell you that such a policy is not available, which will save you a lot of time and money shopping around. Given that agents and brokers work on commission, it seems like a contradiction in terms that you would pay less for an insurance policy by using one them instead of doing it yourself. But that is actually more likely true than not. Because brokers and agents know the business, they also know where the better-priced policies are. At any given point in time, there’ll be some insurance companies who will be particularly aggressive in an attempt to increase business – and others who are looking to reduce their exposure. The broker will know who the aggressive companies are, and you may save money on your policy as a result. The important distinction is making sure that the broker or agent is independent and not a representative of a single company. They should be working with dozens of different insurance companies, to make sure you get both the best price and terms. Still another advantage is that a broker or agent can be your contact person going forward. The broker or agent speaks “the language” of the insurance industry, which is something that the rest of us don’t. It can be a huge advantage going forward, particularly if there any issues in the future. The broker can intervene on your behalf, and either improve the situation or move you to a different policy. When you need to buy insurance, do you seek out a broker or agent? Or do you prefer to do it yourself? Leave a comment!